International visitors on China holidays in Beijing and people from other parts of China reportedly spent $1.3 billion during the week-long celebration, a 7.1 per cent rise from the same period in 2014. The Beijing Municipal Commission of Tourism also revealed that the number of visitors who came from outside of Beijing reached 2.8 million during the Golden Week holiday, and that they contributed a staggering 80 per cent of tourism revenue for the week. The report shows that the visitors mainly spent their money on food and drink, and purchasing consumer goods. According to the GB Times, a number of Beijing’s historical and cultural sites received record numbers of visitors during the celebration. In fact, Tiananmen Square welcomed 220,000 visitors during the Golden Week holiday celebrations. Tiananmen Square is the huge city square in Beijing that separates the Gate of Heavenly Peace (Tiananmen gate) from the Forbidden City. As a result of the huge volumes of people visiting Beijing to attend the celebrations, a range of tourist attractions and hotspots imposed limits on the number of visitors let in throughout the day. 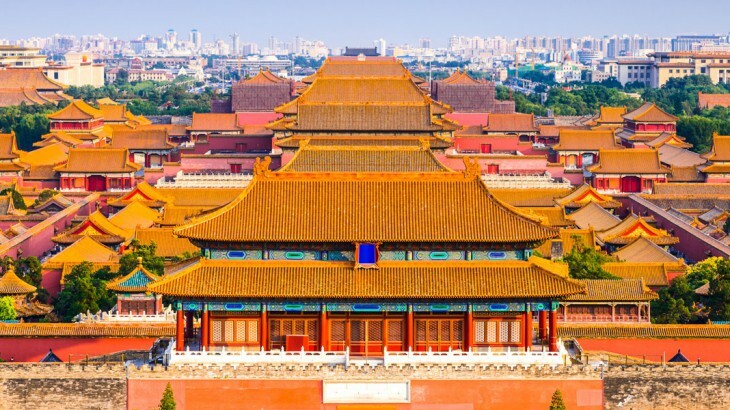 Despite the popularity of the event, the Forbidden City stuck to its limit of 80,000 people per day, which was reduced from the maximum 130,000 visitors that were allowed to visit the attraction per day in 2014. Limiting the number of daily visitors was part of plans to ensure the safety of holidaymakers, as well as create a friendlier and better environment for sightseers. Following the end of the Golden Week celebrations the city is significantly less busy, perfect for those currently on guided tours in China who want to see Beijing’s most spectacular attractions. Plan a holiday to Beijing with the UK’s leading Asia Experts, Wendy Wu Tours. Our award winning escorted, fully inclusive tours visit all the major sights of China for an unforgettable holiday. China china news, sightseeing, tourism. permalink.